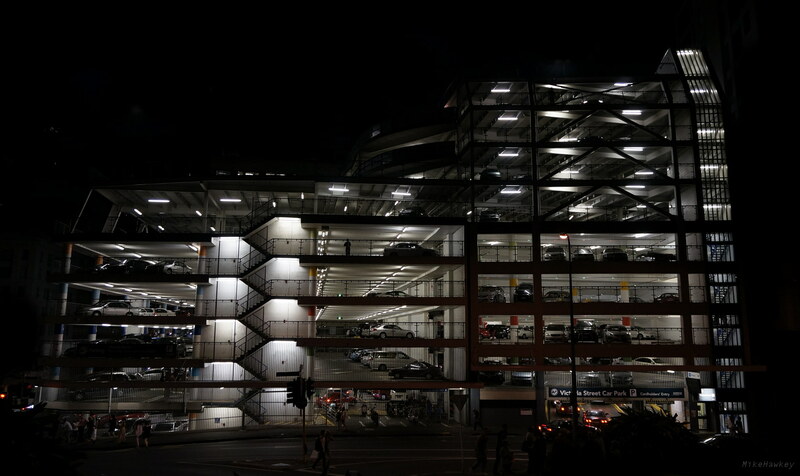 Heading off to the annual Lantin festival in Aucklands CBD this evening, I captured this image of the mid-town car park. I like how at night you can see right into it, whilst all around is black. Its almost like a giant dolls house where one removes the side wall to see what is happening. Shot on the Nex 5N with 16-50mm lens. Very light editing in Gimp. You even managed to capture Todd on it!! Well done! Thanks. I’ll pretend that I knew it was him posing!